Schimpff&apos;s Candy Canes- Did You Know? Schimpff’s Confectionery and Candy Museum will celebrate its 125th anniversary in April 2016. 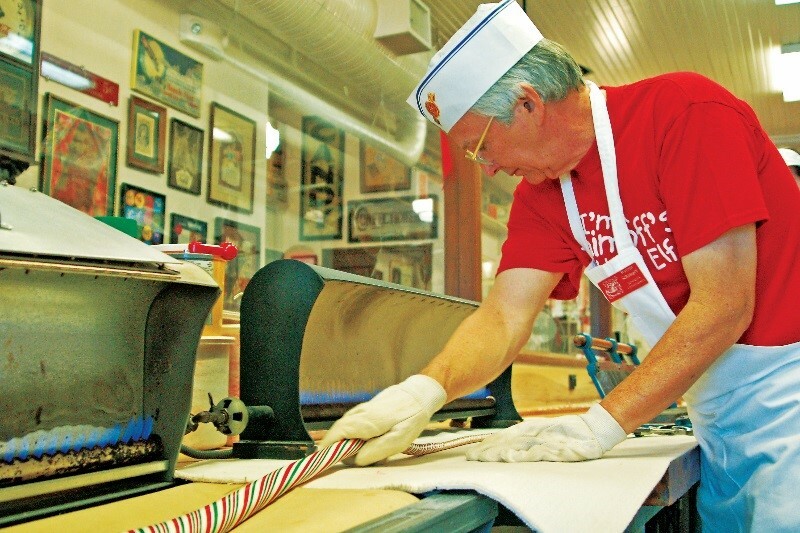 Current owner and candy maker, Warren Schimpff (pictured above), is the third great grandson of Gustav Schimpff, Sr. who began the business in 1891.